Home » Free » Temporary » Famous Quotes: Trendy Meets Classic! Famous Quotes: Trendy Meets Classic! http://www.line-stickers.com/ – Famous Quotes: Trendy Meets Classic! 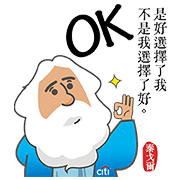 Line Sticker | Citibank Taiwan has picked some of the best quotes from various famous figures. By combining them with popular phrases, you get a delicious double whammy of instant humor and truth! Friend Citibank Taiwan’s official account to get them for free. Available till December 14, 2016. 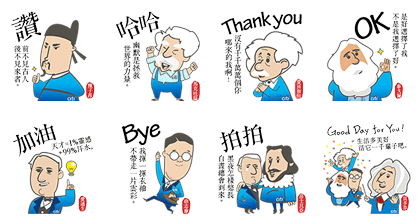 Name LINE Sticker: Famous Quotes: Trendy Meets Classic!